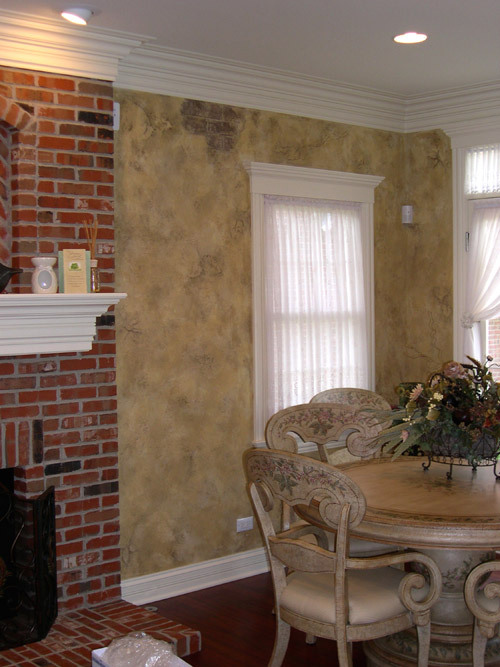 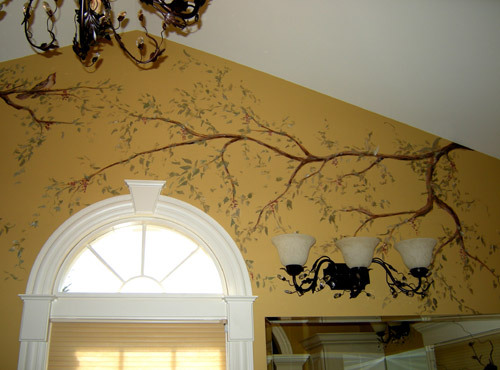 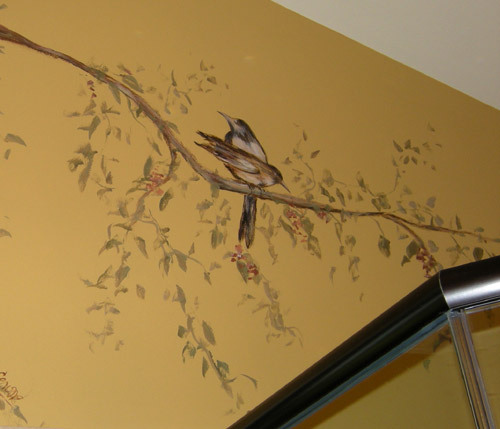 the perfect way to dress up your dining area, kitchen, bath or other room. 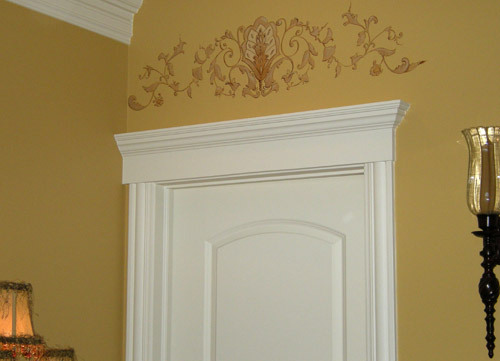 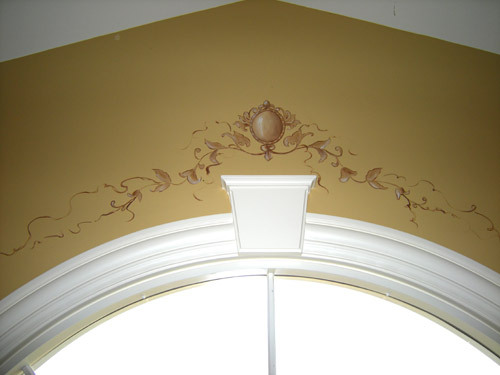 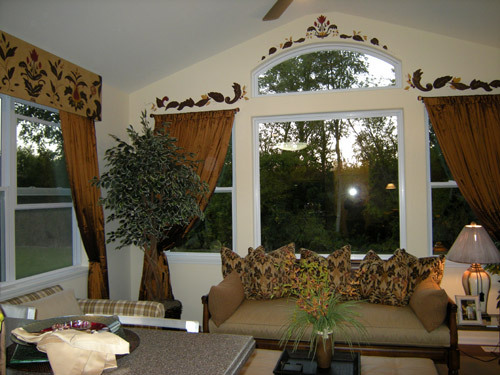 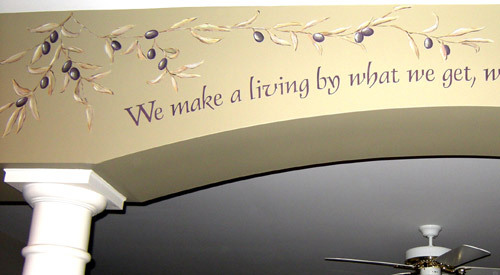 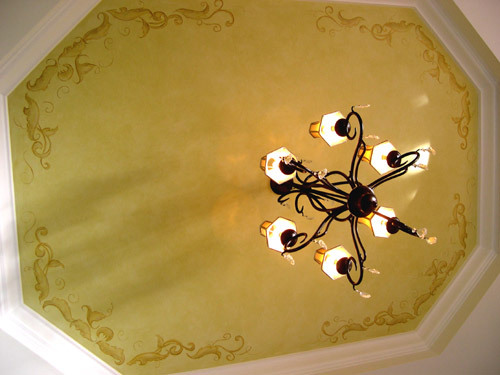 Model home with hand-painted cornice and accents over wndows. 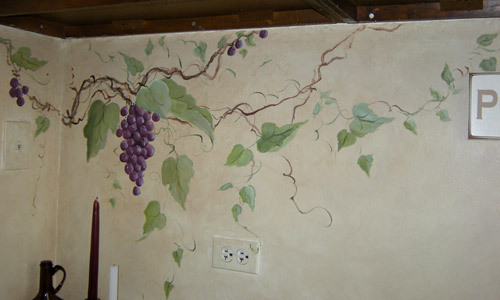 Raised plaster relief with grapes and broken-out bricks.